Buffalo Bayou offers a host of recreational opportunities. From jogging and biking to canoeing and kayaking, it’s the place to head for fitness and fun. It’s also the spot to experience cultural activities. In May, we hosted the Bayou City Music Series with a concert on The Brown Foundation Lawn at The Water Works. Sponsored by the Kinder Foundation, the event is part of an on-going series of concerts also taking place at Discovery Green and Emancipation Park. Be on the lookout for the fall lineup. Visitors are flocking to the Cistern, the underground former City water reservoir, where we are exhibiting internationally recognized Carlos Cruz-Diez’s Spatial Chromointerference, a projection of continuously moving color images on the Cistern’s 221 columns, walls, and cubes floating on the shallow pool of water on the reservoir’s floor. You won’t want to miss this amazing installation which will be open through the end of the year. 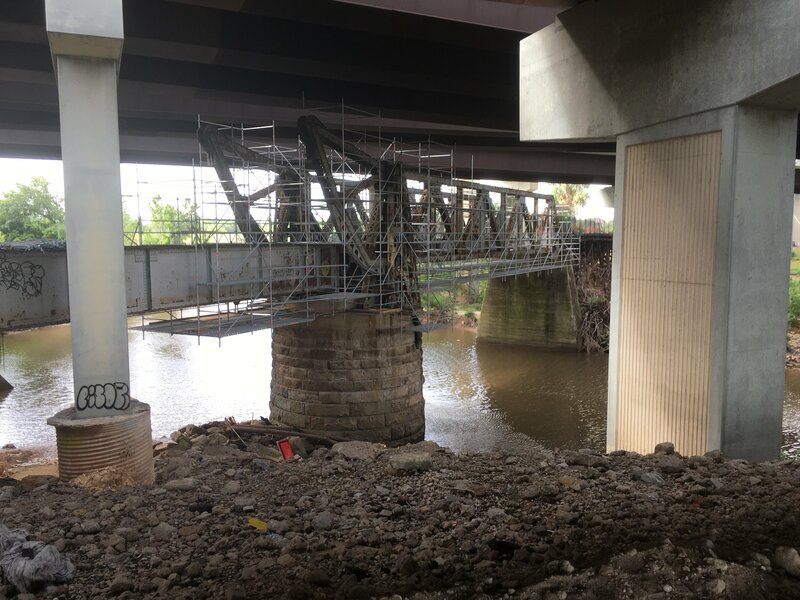 To ensure Houstonians not only visit Buffalo Bayou Park but other sites along Buffalo Bayou, BBP is working on several trail projects and a major planning effort along the waterway’s east sector. It is exciting for us to be making considerable progress in achieving our ultimate goal of transforming parks, trails and green spaces from Buffalo Bayou Park all the way to the Port of Houston Turning Basin. Summer is a time to travel and for those of you who will have friends and family visiting, we hope you will stop by Buffalo Bayou. Whether it’s renting a bike, getting a bite to eat at The Kitchen at The Dunlavy or traversing trails all along the waterway, we promise you will see Houston from a unique perspective. Enjoy your summer wherever your travels take you! Design of important trails in the downtown area is underway. Extending from Fannin Street all the way to McKee Street on the south bank of Buffalo Bayou, there are three separate projects being coordinated by BBP and the Houston Parks Board. 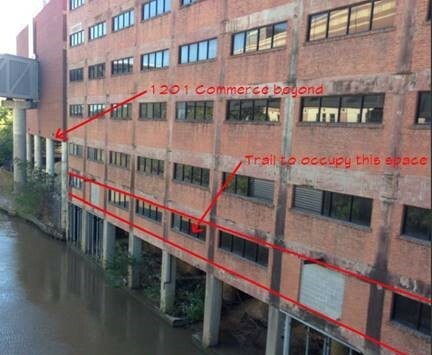 The western most trail will be constructed in the lower floors of two Harris County buildings and on a property owned by Harris County Flood Control District. This portion will link up with a trail segment on what is now a parking lot at the corner of Austin and Commerce streets. From here, the trail alignment heads east where it will be constructed on property owned by CenterPoint Energy. It is expected that this trail will be completed by the end of the year, with the other two segments constructed in 2020. East of downtown and US 59/69, the Texas Department of Transportation (TxDOT) recently broke ground on a trail that extends across the Houston Housing Authority’s Clayton Homes property. The $3.7 million project is a key missing link that will tie the trails described above to existing trails east all the way to Lockwood Drive. In addition to the trail, the project includes a pedestrian bridge that will link the north and south banks of Buffalo Bayou. A federal grant and $500,000 in private funds raised by BBP are making the project possible. Expect a ribbon cutting in early 2019. BBP’s east sector master planning project has been gaining steam after taking a break for several months due to Hurricane Harvey. Extending east from McKee Street to the Port of Houston Turning Basin, the plan seeks to establish a pioneering precedent where parks and trails can be a catalyst for inclusive growth and community development. 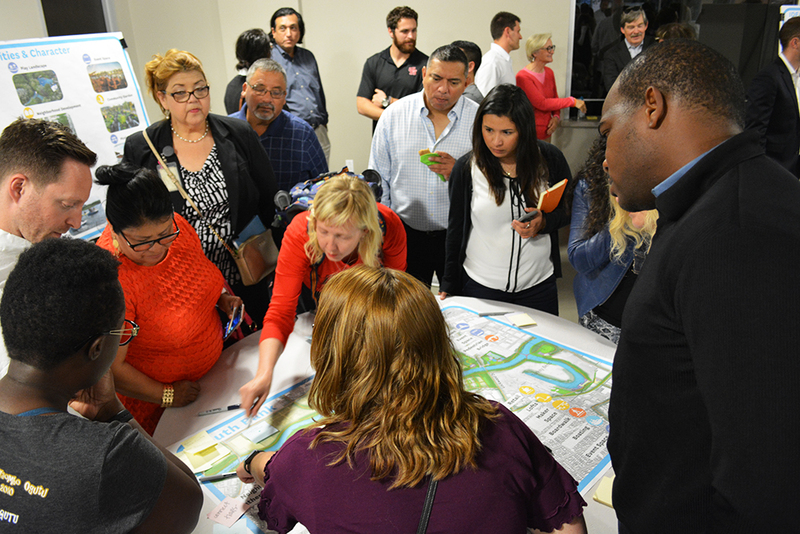 In late winter and early spring, more than 400 people attended East End and Fifth Ward neighborhood meetings where they provided their input for reinvigorating the waterfront. With the input received at February’s gatherings, BBP’s consultants developed an area-wide plan draft that was shared at an April community meeting. Neighborhood residents and stakeholders will have the opportunity to provide additional input at another meeting to be held in early fall. To carry out the initial study, the coalition will be working with the Houston Advanced Research Center (HARC) and the National Trust for Public Land (TPL). The second phase of the Headwaters to Baywaters initiative will be raising funds and purchasing riparian lands. BBP has been working on a strategic planning effort this year. The organization has accomplished an incredible amount of work over the past five years and it was time to once again create a roadmap for the future. As part of the process, half-day retreats, facilitated by consultants, were held both for board and staff. “We have matured significantly as an organization and we find ourselves taking on roles that we were not responsible for in the past. Due to this transition, it’s been important for us to look at our staff structure, programming, fundraising and a myriad of other areas,” says Tom Fish, BBP Board Chair. Maintenance: The board and staff see maintenance as a very high priority, especially in light of continuing climate change and the likely occurrence of future flooding events. Sustainable and resilient design is a must as we continue to develop parks and trails along the waterway. Visitor Experience: Operating Buffalo Bayou Park, and owning the historic Sunset Coffee Building and unique destinations along the bayou’s east sector, provide BBP the opportunity to create an exciting and innovative visitor experience program. Whether it’s additional canoeing and kayaking or even water taxis, boating will be a strong focus as BBP moves forward. Organizational Capacity: Due to the organization’s many achievements towards fulfilling its mission, there is a need for increased administrative support and staff training to acquire new skills. Funding: While BBP has a strong donor base and wide community support, new sources of funding and revenue streams will be needed in the years ahead. 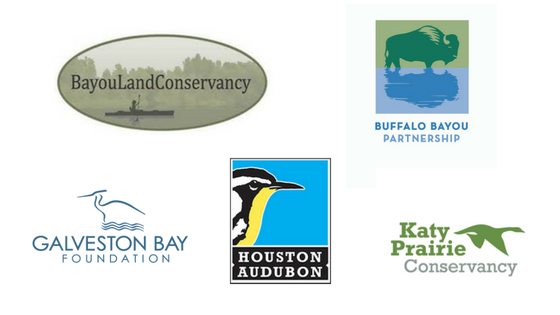 Strong public-private partnerships will continue to be critical to BBP’s success. 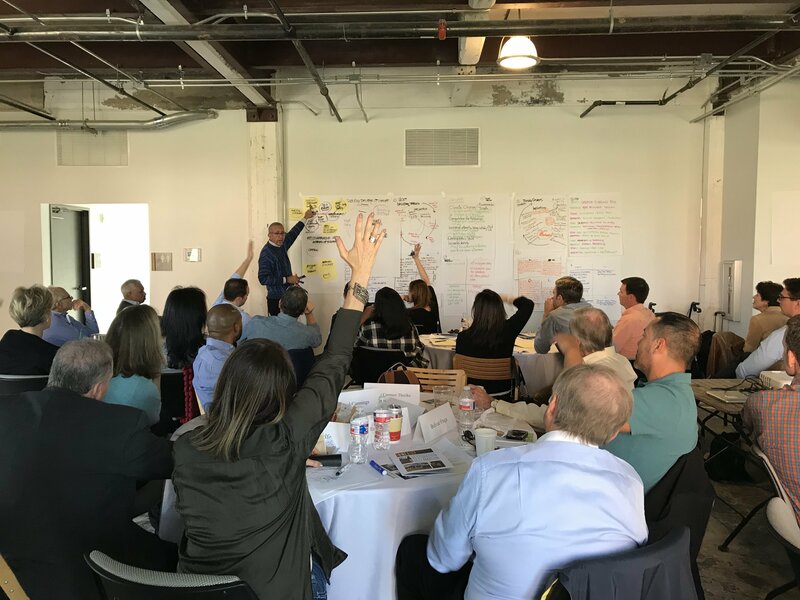 To move the strategic planning process forward, BBP’s board committees are now developing five-year goals, deliverables, and outcomes. The final plan should be completed by year’s end.